Applying to become a franchisee is a serious decision and you may have questions. We've tried to answer the more commonly asked ones below. The initial, royalty, and promotion fees are based on accepted funding, brand, and other conditions. See the How it Works page for more details. 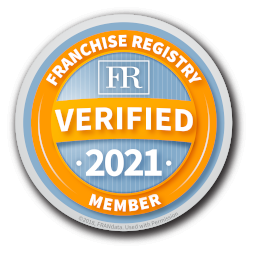 We are proud to announce that we are a verified member of Franchise Registry. Franchise Registry helps connect franchisees with more than 8,000 lenders, leading to tens of thousands of loans to franchisees each year. Contact a Franchise Development Manager to learn more about Franchise Registry and our offering. We may offer funding for the construction or conversion of your franchise store based on the scope of your project. The amount of the funding will be based on the square footage of your selling space for a new-to-industry (NTI) location or on an existing convenience store’s sales for a conversion location. What is the minimum financial qualification? A typical single-store agreement requires a net worth of $500,000, which must include $100,000 in liquid assets. How long does it take before I open my doors for business? The qualification process typically takes less than 6 months. However, depending on the scope of construction required at your store, more time may be required before you open for business. We are currently offering franchises throughout the U.S. and Canada. We also offer master licensees internationally. Contact Us to discuss the opportunities in your area. How long is the term of the agreement? The initial term is 10 years from the date the store opens. May I have a quick-serve restaurant (QSR) attached to my store? Yes, provided the QSR meets Circle K's standards. Contact Us for more information on QSRs. Your store's revenue potential will vary based on a number of factors. Some of which include, but aren't limited to, your personal business acumen and the store's demographics. We are unable to provide you with a projection of your how your store will perform. Why should I become a franchisee? There are many benefits to franchising with Circle K, including Brand Recognition and Buying Power. We offer flexibility within a framework. Click here to learn more about the benefits of franchising with a globally recognized brand. Our Franchise Development Managers are available to guide you through the process. Click here to learn more about how the process works. What kind of franchisee is Circle K looking for? Any other questions? Our Franchise Development Managers are available to answer them.